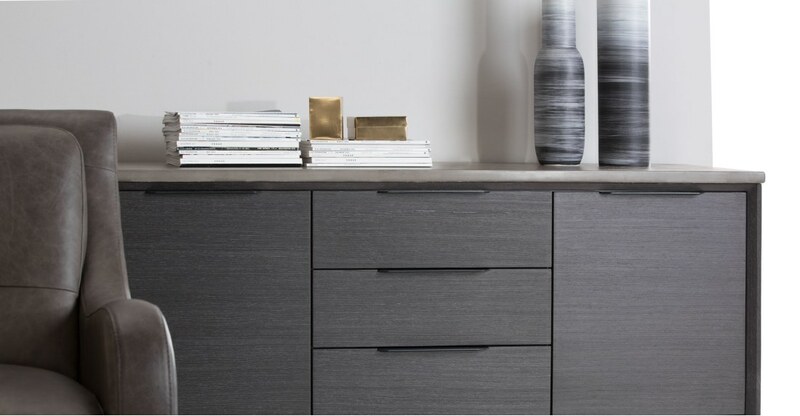 The epitome of contemporary design, this sideboard boasts clean lines and a contrasting concrete top adding a sophisticated touch. Not your average piece, Boone is sleeker than the rest. It features two cupboards, plus three drawers to hide all those messy bits and pieces that come with modern living.